Man. It's been such a long journey to get to this point right here, and some of you have been with me for every step of the way. As being a person of perseverance it has been incredibly difficult to express myself creatively in the last few months and I'm glad the time has come to where I finally have the means to do so. With that said I'd like to proudly introduce to you this very special project that I've been working on and curating in the last few months. 'Here With Me Radio' is an expression of who I am and the things I love all rolled into one. I've created this show to share all of the music that has inspired me to become a DJ, the music that keeps me alive and keeps me going everyday. Not only that but I've also created this show to share new and great music with others as well. And in a nutshell that's what herewithme.co is about, sharing what I love and the things that interest me with the rest of the world. Every session of HWM Radio is going to be different, it's going to look and feel different. So with this being the very first offering and the first day of Summer 2016 I wanted to create a session that speaks to you creatively and also gives you some fresh new sounds to listen to to kick the season off to. 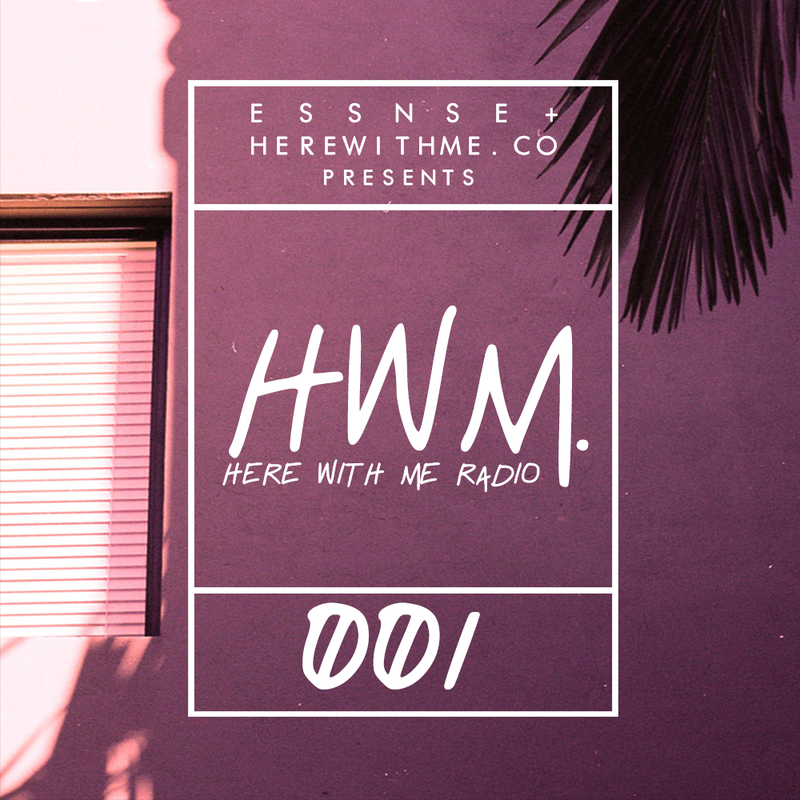 A new episode of HWM Radio will be put up every 2 weeks here on herewithme.co and on my SoundCloud. I'm looking to build the series with guests, interviews and adding a voice to the series as time goes on. I hope that you all are excited for what's to come because I know that I am. Featuring lots of new music from TEK.LUN, KAYTRANDA, AbJo, Oddisee, Melo-Zed, Kona, Rashad, BADBADNOTGOOD, Foisey, Samsin, Terio, Monte Booker, Evil Needle, Syd, MNDSGN, SAVON and many more. Peace and much love to you all, enjoy the show. 1. Oddisee - Beach Dr.
12. S0ul Unreal - Justanotherday.